On November 3rd, New York Junior Tennis & Learning (NYJTL) held its Annual Leadership Awards Luncheon, honoring individuals who show great commitment to children, education and tennis. Among those honored were two-time Olympic gold medalists Gigi Fernández and Mary Joe Fernández and fine art photographer and Arthur Ashe Learning Center (AALC) founder Jeanne Moutoussamy-Ashe. With more than 300 attendees, the organization raised over $450,000 in funds to support its current initiatives, including free community tennis programs, tournament training, after-school programs, and educational activities for thousands of youth throughout the five boroughs of New York City. Introducing the award for Gigi Fernández and Mary Joe Fernández was former pro and AALC Director Charlie Pasarell, who highlighted each of the former pros accomplishments—Gigi having won 12 Grand Slam doubles titles and Mary Joe having won two in addition to their Olympic Gold medals—and their continued coaching and tennis outreach after retiring from competition, particularly in the Hispanic caommunity. In their acceptance of the award, the ladies switched off speaking, emphasizing the importance of education and joking about Gigi’s more spirited temperament during their doubles matches. As a photographer, author, and consultant, Jeanne Moutoussamy-Ashe has used those varied roles to explore and comment on civic and philanthropic issues. Seven years ago, she founded the AALC, a nonprofit organization devoted to archiving artifacts of Arthur Ashe’s life and developing educational materials that promote his legacy. Moutoussamy-Ashe also suggested that “a fitting tribute to the history” of the umbrella National Junior Tennis and Learning (NJTL) organization should be created. That organization and NYJTL has a long history with the Ashe family. In 1969, Arthur Ashe founded the National Junior Tennis League (which later was renamed Tennis and Learning) with entrepreneur Sheridan Snyder and his close friend and UCLA teammate Charlie Pasarell. Two years later, Ashe cofounded a local New York chapter for NJTL with Skip Hartman: the New York Junior Tennis League. The NYJTL has consistently displayed a focus not only on teaching tennis, but also on education, hard work and character development– a reflection of the beliefs that Ashe so vigorously advocated during his lifetime. 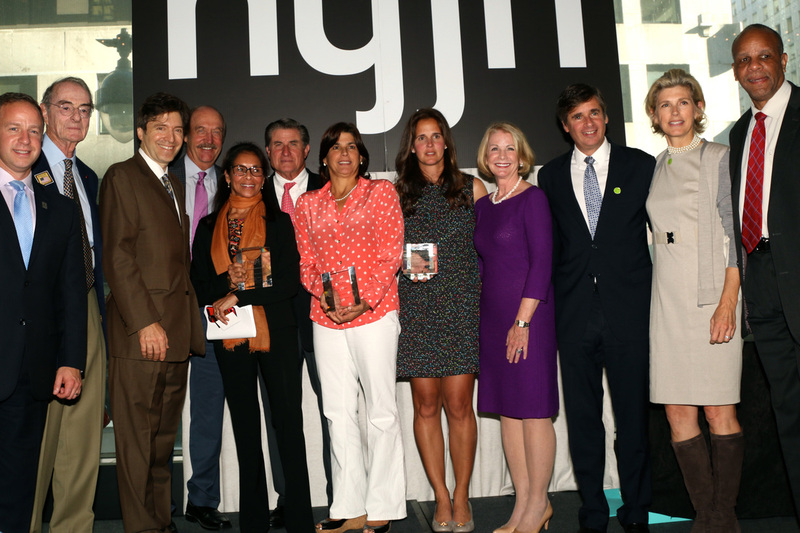 Visit the NYJTL site to learn more about the organization and the Leadership Awards Ceremony.